If they're being honest, most coaches will tell you that they think about quitting a lot. The frequency with which they think about it usually depends on how stable their business is. When things are going well, those thoughts can be few and far between. When things feel like a struggle, they might think about getting a normal job or starting a different business every single day. This begs the question: why do so many people, in one of the best careers of all time, think about quitting so often? > Running any type of business is going to feel like a rollercoaster. The experience of an entrepreneur is just fundamentally different from the experience of an employee. Over time you learn how to ride the rollercoaster, but it never feels totally natural. > One of the problems with doing work you're passionate about is that passion fluctuates. You still have to show up whether or not the passion is there on any given day. If you expect to be energized all the time while building your coaching business, you're going to be disappointed and you're going to want to quit. > Coaching is pretty intense. 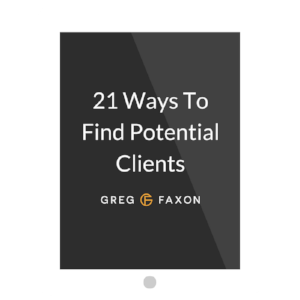 It's hard not to feel responsible for helping your clients succeed. But the truth is, their results are often out of your control. This can cause a lot of stress and disappointment if you're not able to detach from the outcome of a given coaching engagement. Having said all that, there are plenty of reasons not to quit coaching. So let's talk about what to do when the tempation arises. When you feel like quitting coaching, it doesn't necessarily mean that you're doing the wrong thing with your life. Usually these thoughts are a symptom of some underlying problem in your business. Instead of listening to the thoughts, try going one level deeper and actually figure out what's not working in your business. When you can determine what the sources of your thoughts are and address them, you can actually transform those thoughts into fuel for growth. A lot of times the only way to do this is by trail and error. I've listed a few strategies here that tend to work well for me and my clients. Experiment with them and remember: if you don't quit, you win. 1. Take a break. The simplest thing you can do when you're thinking about quitting is to recharge and see if that makes a difference. It's easy to want to stop when we feel burnt out, so get a clear perspective before making any big decisions. If you're in the middle of a big launch, push through that and then make sure to take at least one or two weeks off before you decide whether your feelings need to be acted on. If you suspect that your feelings are related to burnout, here's what to do when you hit a wall. 2. Get a life. This is related to the point above but it's slightly different. As a coach, you're supposed to be helping people live a good life. And it's hard to do that if you don't have much of a life yourself. Despite the intimate nature of what we do, it's easy to feel isolated as a coach if all you do is help your clients. So take the time to decide how you want to integrate your business with your life and then stick to the plan. 3. Make a list. In one column, write down everything that drains your energy throughout the week. For me this includes things like doing enrollment calls with unqualified prospects, comparing myself to other successful people, and not getting enough sleep. In another column, write down everything that energizes you. Personally this includes things like making sales, putting on live Q+As for my course, and having inspiring conversations with my colleagues. Once you've made your list, figure out how you can do more of what energizes you and less of what drains you. 4. Let it go. Sometimes we have beliefs about coaching that we have to let go of in order to stay motivated and accomplish our goals. For example, it's easy to believe that we have to be perfect all of the time in our area of expertise in order to support others with it. This is not true. While it's important to model the transformation that your ideal clients are wanting to achieve, it's your challenges and imperfections that allow you to relate to the person you're coaching. So don't get too hung up on what it means to be a coach. Just focus on helping your clients get results. 5. Be more productive. It's easy to feel like you need to be motivated in order to be productive. But I've found that the opposite is more often true. When I don't feel productive, I don't feel motivated. So sometimes the best thing to do when you feel like quitting is to revamp your systems and habits. When you feel proud of what you're accomplishing each day, you'll be more happy with your coaching business. Here's one of my favorite strategies for increasing productivity. 6. Stop reinventing the wheel. If you're not where you want to be in your coaching business, you need to imitate before you innovate. Figure out what works in terms of marketing, enrollment, etc. from someone who has what you want and then just do that. The alternative of figuring it all out yourself is slow and exhausting. 7. Focus on the process. If you're basing your self-worth on how many clients you have, building your coaching business is going to be really stressful. By falling in love with the process, you can continue to feel inspired regardless of whether you had a good month or not. Ironically, this is also the best mindset for filling your client roster. Try to be patient and stay present instead of letting external results frustrate you. 8. Remember your Why. This has become such a cliche in business circles that I'm almost hesitant to include it. But there's a reason why Simon Sinek talks about "starting with why." If you've lost sight of the reason why you started this business in the first place, it might be worth giving yourself a reminder. It's possible you've strayed too far from that original purpose. Journaling can be a helpful strategy here. 9. Connect with other coaches. There's a reason why I include a community component in all of my paid offerings. Coaches are weird, and it's easy to feel like an outsider if all of your other friends work a normal job for someone else. Consider joining a mastermind or going to live events with likeminded entrepreneurs. You'll be amazed by how much energy this gives you. 10. Leverage your strengths. When a marketing strategy that works for other coaches doesn't work for you, you might feel like a failure. But depending on your personality type, you might not want to use that strategy at all. Here's how different coaching "archetypes" should be getting leads. 11. Find your sweet spot. When you start a coaching business, it seems like everyone is always telling you to pick a niche. There's a reason for that. In the past I've written about how you don't necessarily need to pick a niche when you start out. And that's still completely true. But getting clear on your niche does make things a whole lot easier over time. Here are 21 proven and profitable coaching niches for you to check out. 12. Just keep going. We're all tempted to jump from passion to passion. It's natural. But sometimes you need to ignore your feelings and continue down the path of mastery. There's something powerful about committing to a long term process even if it's not always fun. If you can't make your coaching business successful, you may just end up in the same place when you switch to a different business. Imagine yourself at age 80, looking back on your life. If you quit coaching today, would you find yourself regretting it then? If you wouldn't regret what could have been, it probably means that you've reached the end of your coaching journey. It's time to let go. But if you still feel like there's more potential in your business waiting to be realized, then make the necessary adjustments and keep on moving forward.